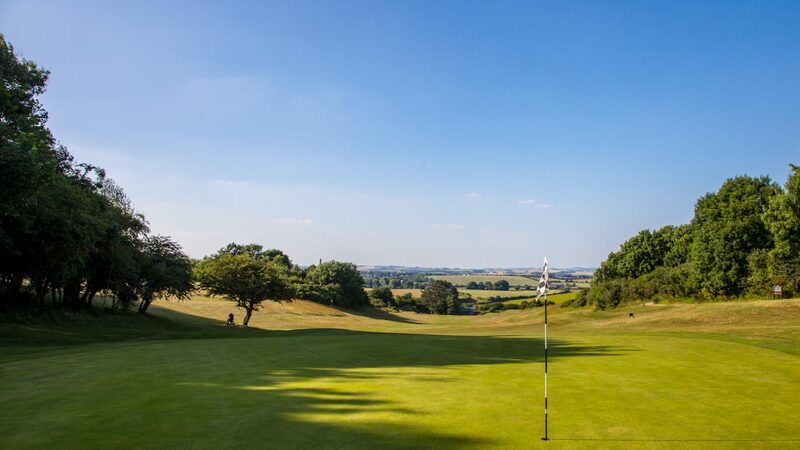 We are a friendly, traditional downland golf course set in the heart of Thomas Hardy’s Wessex. Our location, perched above the county town of Dorchester, affords those fortunate enough to visit stunning views in every direction. Open to the public whether it be for a round of golf, Sunday lunch or just a refreshing drink whilst taking in the magnificent vista from our Clubhouse. The club is steeped in history and has unique ties to the world famous Ryder Cup. Golf Monthly listed us in the country’s Top 100 ‘Hidden Gems’, we’d like you to come and see why for yourself. Societies are welcomed 7 days a week, subject to availability. To help with the organisation of your day we have put together our 5 most popular packages. You can select one of these or alternatively contact us and we will tailor one to meet your requirements. Access from the East from the M3 to the A354 and from the West via M5/M4 to the A354. We are 5 minutes from the county town of Dorchester and 10 minutes from the lively seaside resort of Weymouth. Both have plentiful accommodation, please contact the club for recommendations.